There have been a lot of rumours floating around the internet recently about the Samsung’s next flagship phone. The rumoured device is expected to be a huge update to its previous, hugely successful, Samsung Galaxy S3 device. However, a report has surfaced with what appears to be concrete evidence around the Galaxy S4 and it’s expected release date. According to a sources, the Galaxy S IV (Galaxy S4) will be officially announced at an event on March 15th, which if you check your calendar is only just over a month away, with a release date for consumers to purchase of early April 2013. It is rumoured that Europe and Asia will be the first to receive the device in early April, with America, Australia and Africa around May or June. The next Galaxy S is rumored to feature an Exynos 5 Octa (8-Core) CPU, Mali-T658 (8-Core) GPU, 4.99? Super AMOLED Full HD Resolution Display, 2GB of RAM, 13 Megapixel Rear facing Camera capable of shooting 1080p Full HD Videos at 30FPS, 2 Megapixel front facing camera capable of shooting 720p HD Videos and running Android 4.2.1 Jelly Bean out of the box. The Samsung Galaxy S4 will be announced at a media event based in the US. Whilst Samsung’s announcements have tended to be outside the US, Samsung this time will keep it within the US to try and steer attention away from Apple’s rumoured next device, the iPhone 5S. 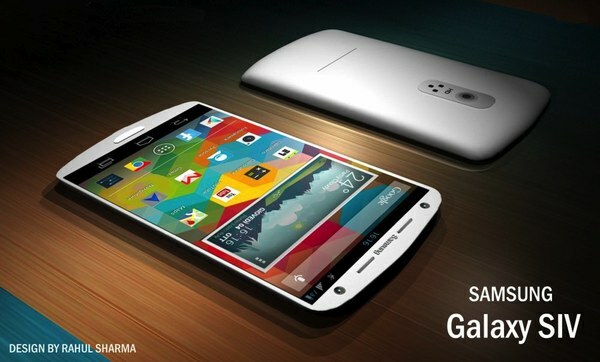 The Samsung Galaxy S4 will also be offered in both black and white, in a move similar to their smartphone rivals. With the Samsung Galaxy S4 seemingly only weeks away, it will definitely be exciting to see how the hype about Apple’s iPhone 5S is affected, and if anyone makes an early switch to the Samsung device. Let us know if you will be upgrading to the Samsung Galaxy S4, or if you’re waiting for the iPhone 5s?